Gut-R-Dun is the professional exterior services company you want to work with if you live in Vernon or Kelowna. From gutter cleaning, installation and repair services to siding and soffit, Gut-R-Dun can offer you a complete range of high-quality services at competitive prices. With a vast expertise and a passion for a job well done, Gut-R-Dun is the company that will help you with the exterior of your house so that you are left with complete and total satisfaction. We offer a free, no obligation quote. We’ll come to your location and determine the exact price to do the job at no cost to you. 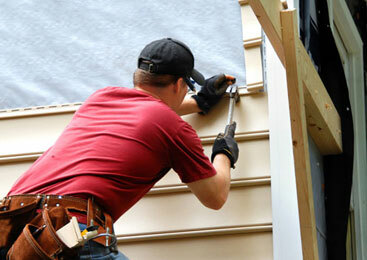 We use premium building products to ensure that your siding, gutters or soffit lasts. We don’t cut corners on the products we use. What can Gut-R-Dun do for you? If you are having trouble with your Kelowna eavestrough, Gut-R-Dun is here to help you. 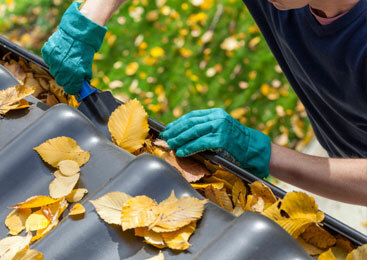 We specialize in gutter repair and installation, as well as professional eavestrough cleaning services. We work with premium suppliers from Canada; as a result, the materials we use for your gutters have a high level of quality and are designed to last. Whether you hire us to install gutters on your new house, replace the old ones or repair your existing Vernon eavestrough, we use the same high-quality materials combined with our passion for excellence and vast know-how. We can also offer you professional gutter cleaning services so that you don’t have to endanger yourself by doing this chore. Also, you get to find out about issues you may have with your gutters even before they start affecting your house because we have an eye for discovering issues and repairing them. We are also experts in siding services and we provide you with the most beautiful, diverse and high-quality siding choices. 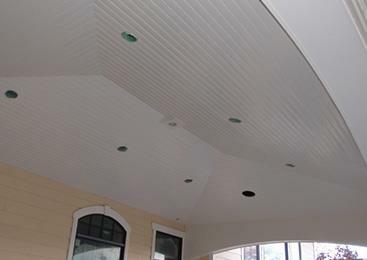 We work with all sorts of materials, from vinyl to engineered wood and cement board to provide you with uniqueness, quality and beauty for your house. Soffit and fascia are also part of our extended services, and we follow the same excellence policy to bring perfection to your house. What sets us apart from our competition is that we value quality above everything else. In a world where most services providers cut corners to make bigger profits, we are set to prove that quality is more affordable in the long term. We deliver perfection to our clients because we carefully select both the premium material suppliers we work with and the experts in our company that take pride in what they do. Another reason you should work with us is our fairness. We offer you free quotes, without any obligation on your side. We come to your house, make an estimate of the job and then you decide if you want to work with us or not. Either way, the expertise is free because we don’t believe in ripping off our clients. We value fairness and transparency. And, last, but not least, we are passionate about the services we provide and, when passion and skill work together, the result is a masterpiece. And we believe that every house deserves to be treated like a masterpiece because it harbours a unique story and unique memories.